Javier Berná was born in Cox (Alicante, Spain). 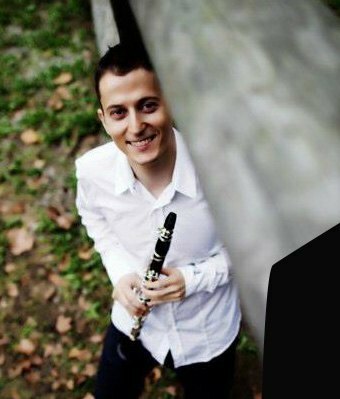 He is a very devoted, multifaceted and prominent musician who combines his activities as clarinet soloist with teaching at the Conservatory of Torrelavega. Laureate for international competitions, he worked as a teacher in the Conservatory Jesus de Monasterio of Santander for 9 years. As a professor, He is an active exponent attracted by the search for excellence, the educational renewal and the development of a critical spirit. His interest and commitment to chamber music has made him find and promote different music groups such as the Baalbeck Trio. 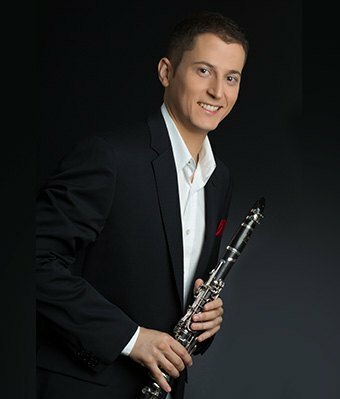 In the field of orchestral interpretation, he has been selected by the OJRM (Youth Orchestra of the Region of Murcia), the Orchestra of the Real Conservatorio Superior de Música de Madrid, the European Union Youth Wind Orchestra and the Jeunesses Musicales World Orchestra. Besides, he has been part of the music unit of the First Aerial Region and Air Control of the Centre (MACEM). A few years ago He was a member of the Municipal Wind Band of Santander. He has taken part in diferents masterclasses with teachers as R. Jowitt, J. Sanz, E. Hoeprich, A. Carbonare, P. Moragues or M. Arrignon, between others. As a soloist, or as member of various groups, Berná has played all over Spain at important venues such as the Palau de la Música de Valencia, Teatro Monumental and Auditorio Nacional  in Madrid, Auditorio y Centro de Congresos  in Murcia, Palacio de Festivales  in Santander, etc. as well as in France, Italy and Poland. 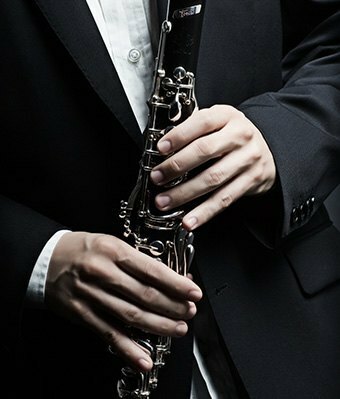 In Early Music he studied ancient clarinet with Lorenzo Coppola in l’ESMUC and he has performed with the orchestra El Teatre Instrumental. He is also an educator dedicated to the broadcast of classical music through countless educational concerts and workshops for children, young people and hospitals, senior centers, etc. Javier finished his studies at the  Real Conservatorio Superior de Música de Madrid  and continued his musical education at l’École Normale de Musique/Alfred Cortot (Paris, France) with Guy Deplus.